Every aspect of our life has a part to play in the greater ecological system, Michael Stone explains in this book. How do we bring this large view to our yoga practice? According to Stone, our responsibility as human beings is to live in a sustainable and respectful way. He says two things need to change. First, we need to understand the relationship between our actions and the effects of our actions. Second, once we see the effect of our actions in the human and non-human world, we need practical skills for learning how to make changes. 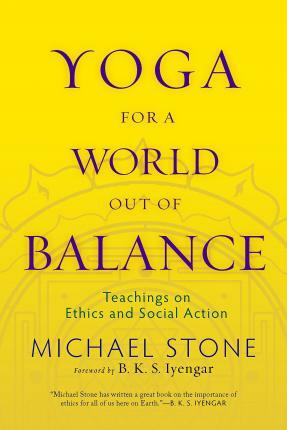 Using the five principles (yama) described in the Yoga-Sutra attributed to Patanjali, Michael Stone offers a basis for rethinking ethical action and the spiritual path.